Come on! Grab a cup of coffee and let me take you on a tour. See the truth is I went to Hawaii way back in March and I took so so so many pictures that I overwhelmed myself and just finished editing them a couple of weeks ago. I'm glad I took that many pictures but I was new to editing so it took me a while! 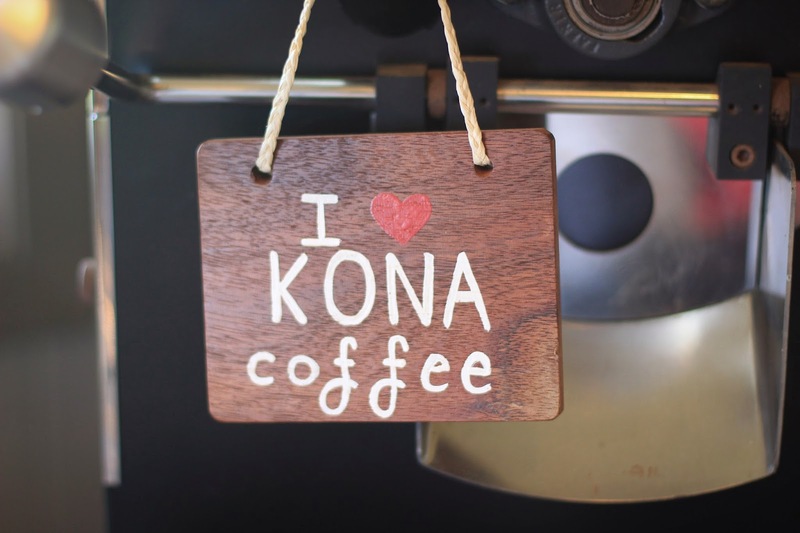 Anyways, Hawaii offers many things but one thing the big island of Hawaii is known for is their Kona coffee. 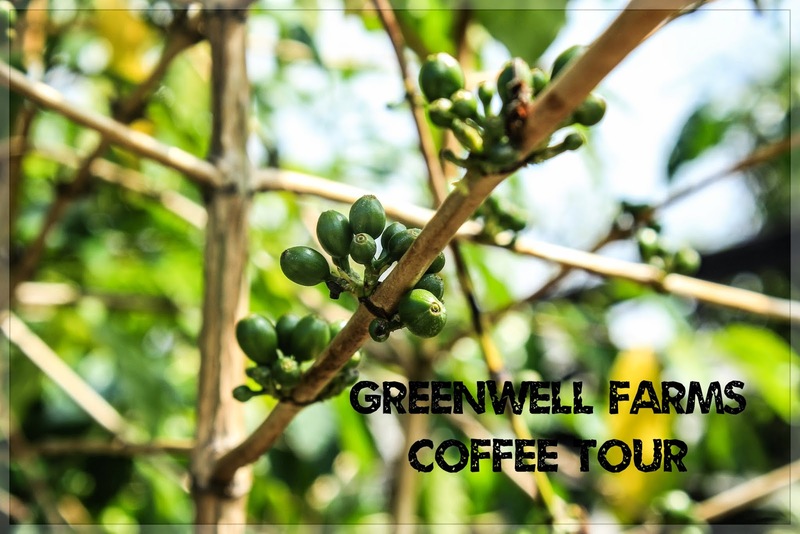 I didn't know much about their coffee process and I wanted to take a tour on a farm. One day Dave wanted to take a big hike to Captain Cook's landing spot (I had no desire because apparently it was one of the hardest hikes around). While Dave hiked away and snorkeled I found a cute little cafe and then went to Greenwell Farms for a coffee farm tour. 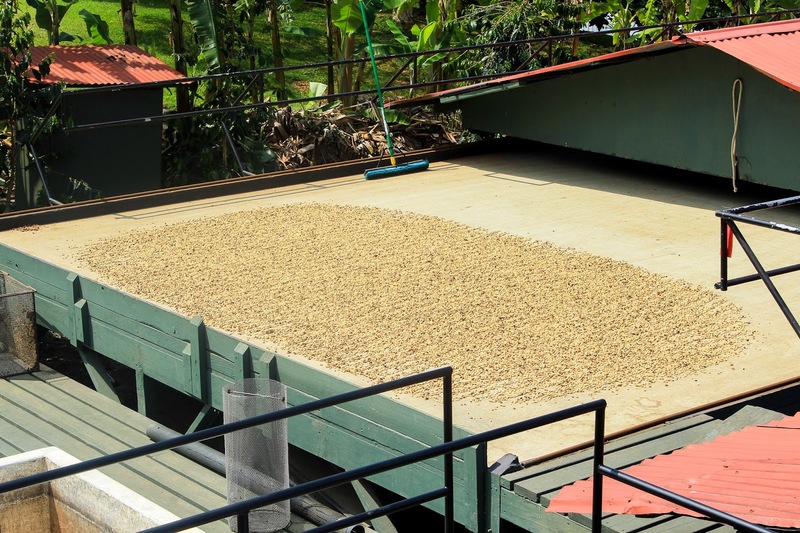 If you think these farms only have coffee that just isn't true! They have a variety of produce there and taught us all about it. A lot of it reminded me of my childhood in Brazil so I especially loved it. Let's get going! Let's start with the oldest! These trees are the oldest trees on the farm. They are the original trees that were first planted 4 generations ago. How cool is that? They only last 125 years so sadly these little trees lives might be coming to an end soon. 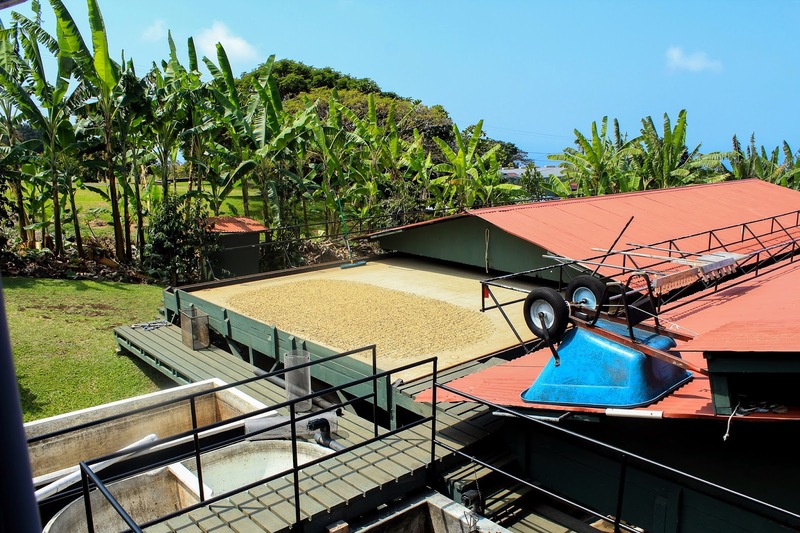 I never knew how complicated and detailed it was to produce Kona coffee. 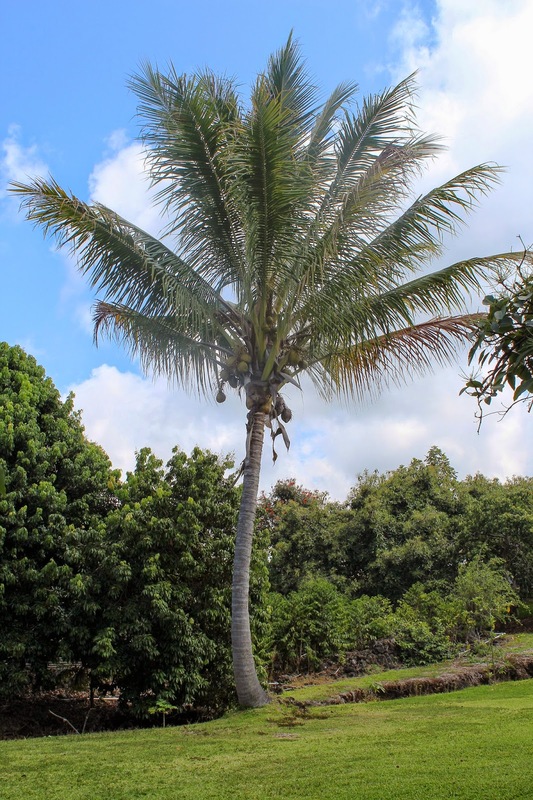 Kona is a region on the Big Island and is world famous. 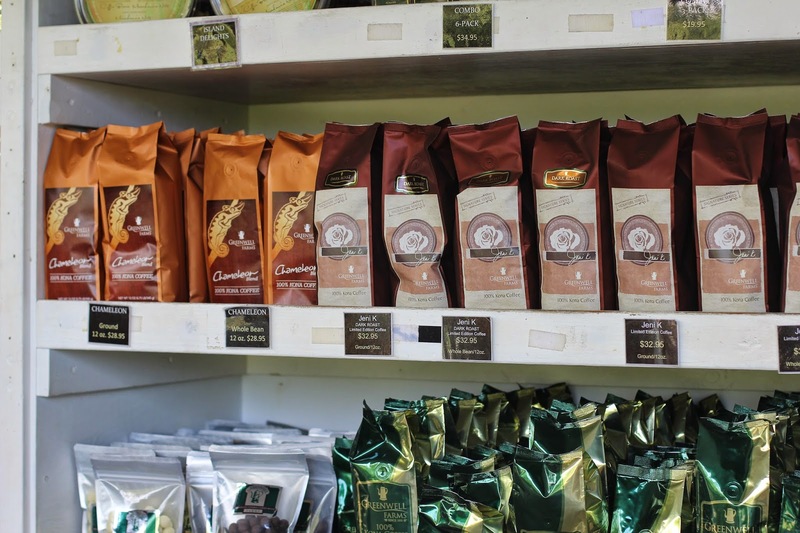 There are several farms around and they each have their own process of getting the best beans. Once they get the best beans those same beans are then sorted and divided into categories. 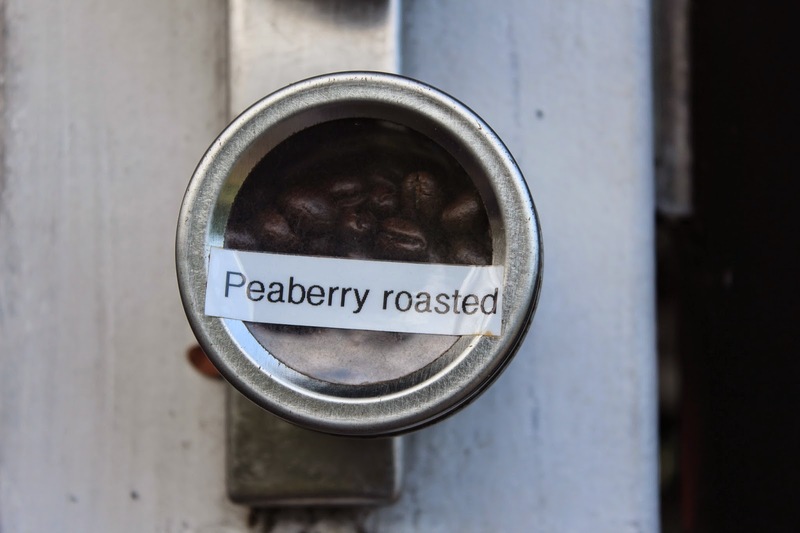 The best beans you can get are peaberry and they run $50 / pound. I did not buy beans because that was more than I wanted to pay but they did have wonderful samples for me to try and trust me, I tried a lot. 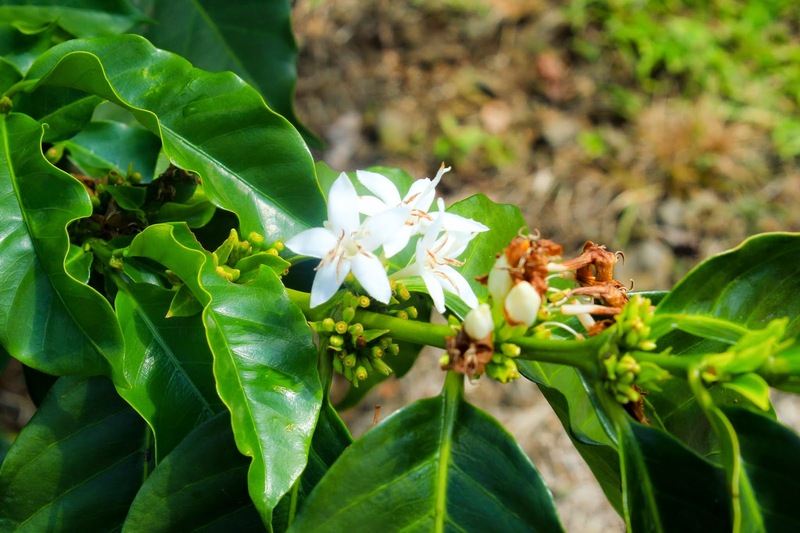 Here are coffee flowers soon to be beans. 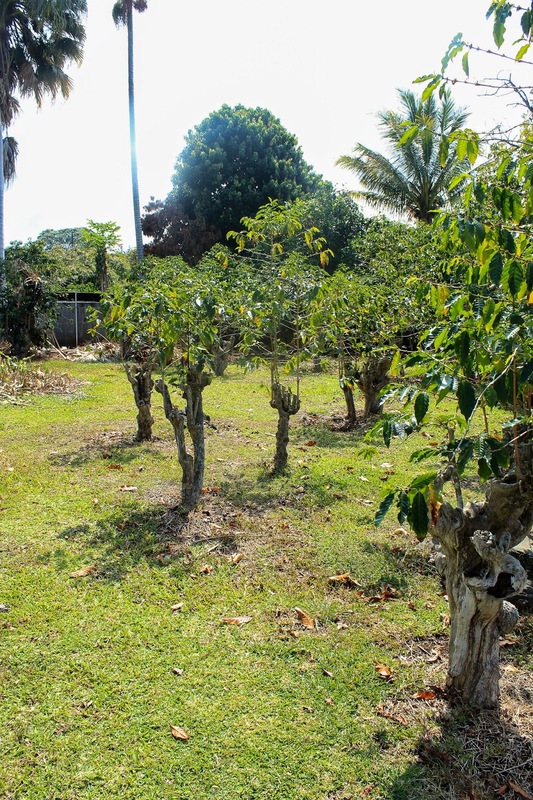 Coffee trees! The beans are also picked by hand and the workers are paid good wages. The farm also uses as much of the plant as they can. 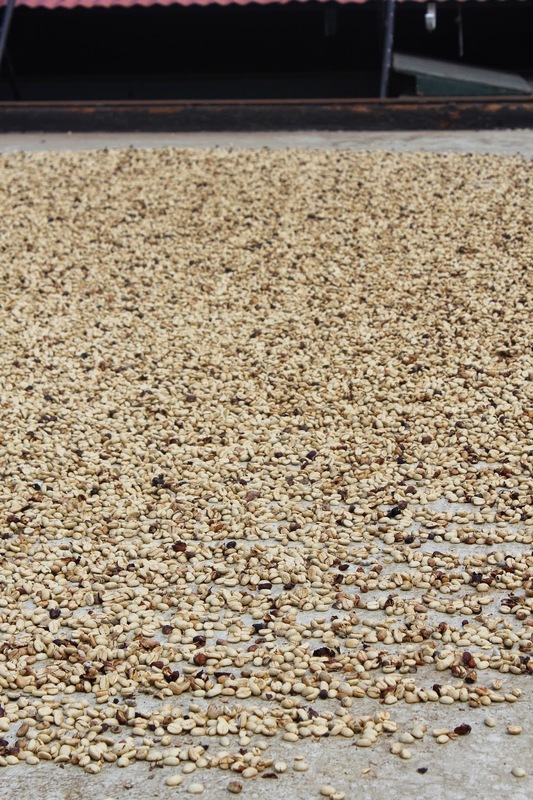 They collect the skin from the coffee beans and use it for mulch on the coffee plants. That's some good reuse and recycling right there. In the pictures below the skin of the beans have been removed and the beans are drying. Someone has to go out there every few hours and stir all those coffee beans. I don't know the whole process but I do know after the beans dry they ferment them for about 12 - 16 hours and then roast them. The farm can roast up to 700lb. to 2,000lb. daily! That's a lot of java, folks! Bananas! Here is a crazy fact. 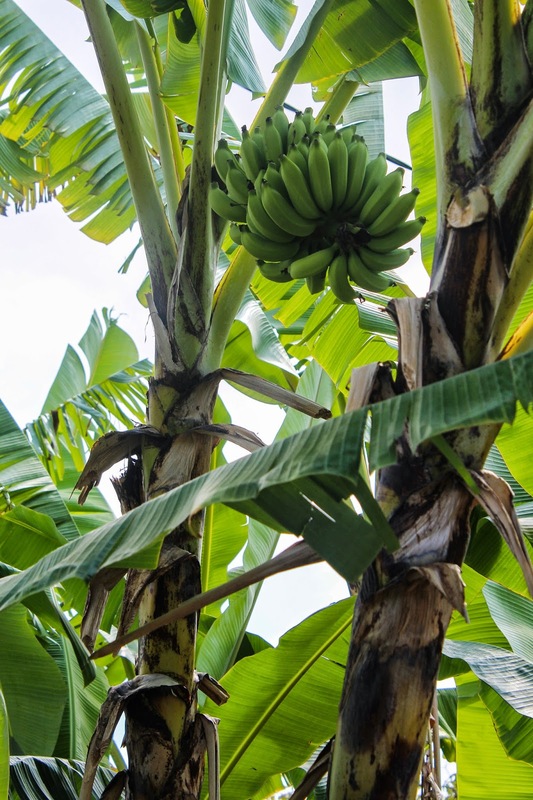 These trees only produce 1 bunch of bananas and then that's it! I thought that was so interesting. 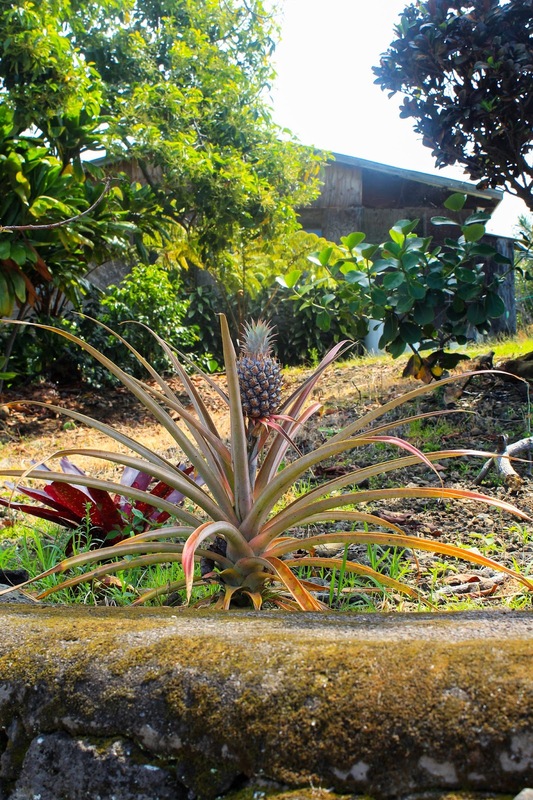 Did you know pineapple grew like this? Papaya! I could live off this fruit! Did you learn anything new about coffee from this tour? 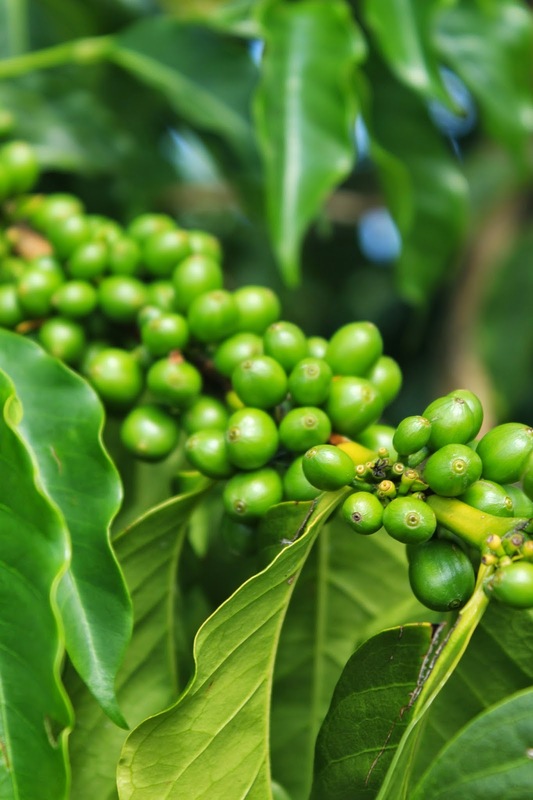 Have you been on a coffee farm tour before? Yes I learnt a lot! 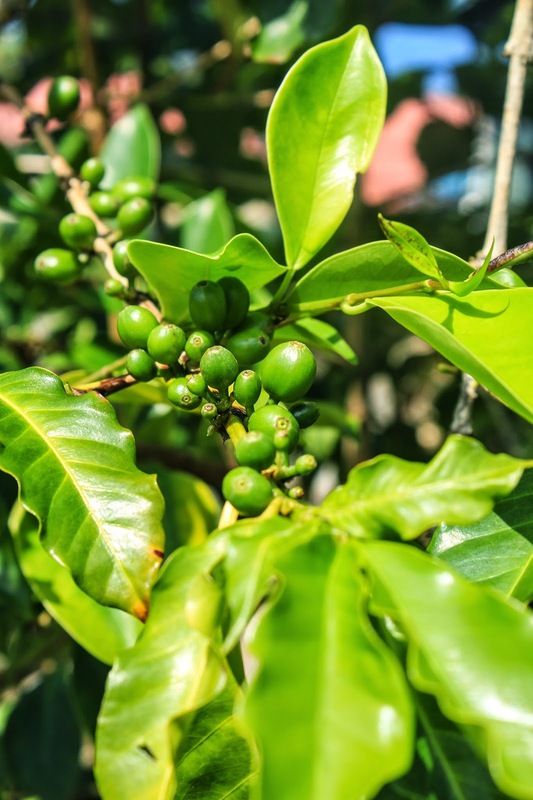 I honestly had no idea what coffee beans grew on ha ha if it was a tree or bush! Now I know! Seriously only one bunch of bananas?! Then what? Do they cut the tree down or does it die or just hang out there for years? What a fun tour!! Such a cool post! Sounds like a fun tour! The only reason I knew anything about coffee was because of growing up in Brazil. We visited a farm once that had coffee plants and we played hide and seek in them. 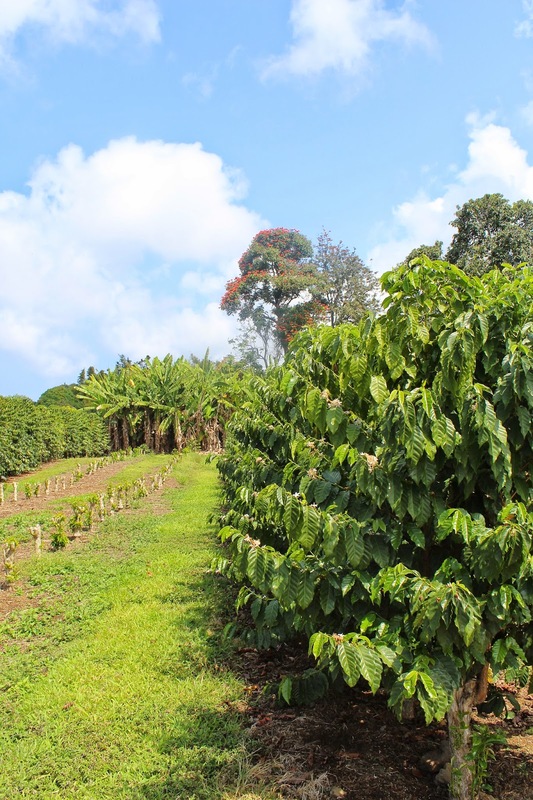 Some coffee farms do have more of large 'bushes' rather than tress. I think the banana tree just eventually dies off. I thought that was the strangest thing and kind of a sad little life for that banana tree. It was a really fun farm and it was way more educational than what I expected - which was good. They also made fresh Portuguese rolls around the area too and they were divine! Thanks, Meredith. It really was a fun tour and I'm glad I got to go. 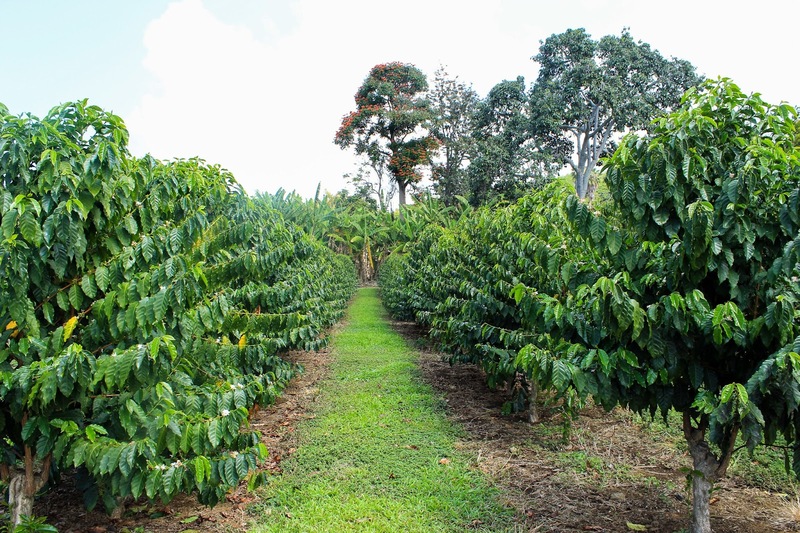 I had been to a coffee farm when I was a kid but I didn't do much other than play hide and seek in the coffee bushes. I don't know if it is just those trees or all banana trees. I'm going to guess that it is only this tree because in Brazil the banana trees in our area produced several bunches of bananas. 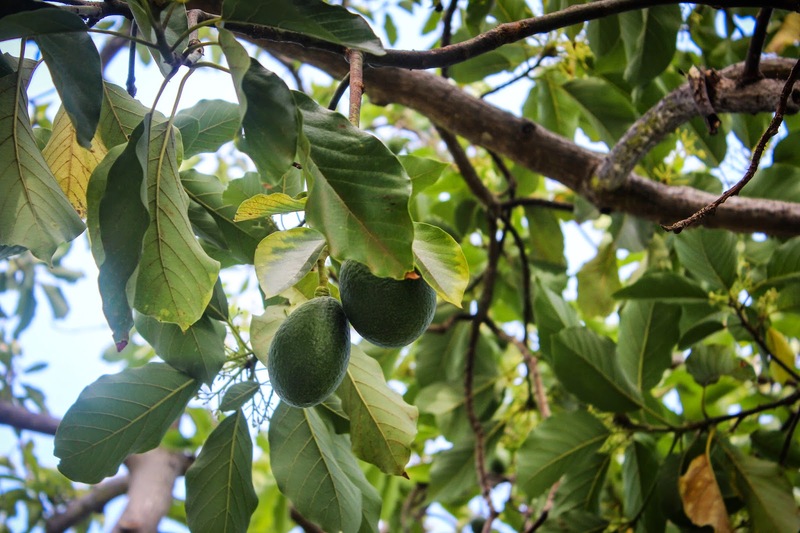 Your fruit list is fun! 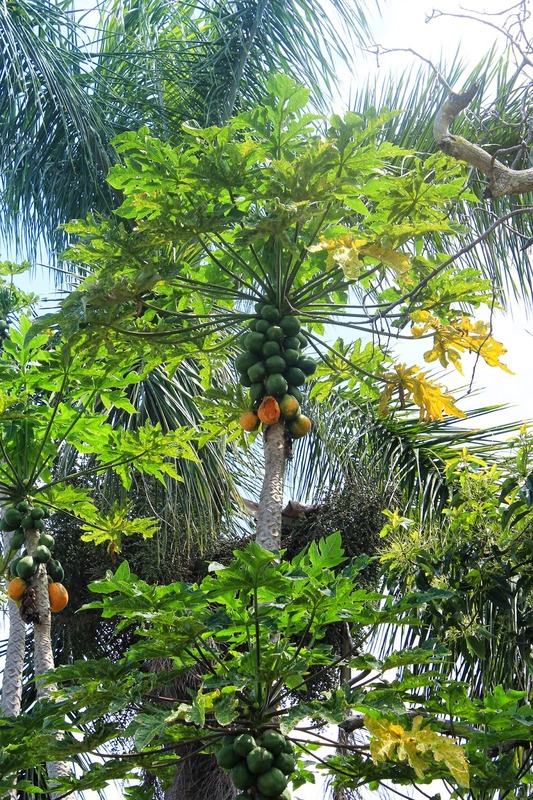 Papaya is different in Brazil than it is here in America. Off the tree papaya is soooo good. However, I know some people just don't like it. I know, right? It was really fun to see and hear them explain it all. I had no idea so much work went into the coffee making process. Coffee not only boost your physical performance it also burn your fat and lose your weight. We are proud to serve you the best coffee.